The castle in its current form should have been built around 1100 – 1200 by the Aldobrandeschi family that dominated the Southern Tuscany (an Aldobrandeschi was also Pope Gregory VII). 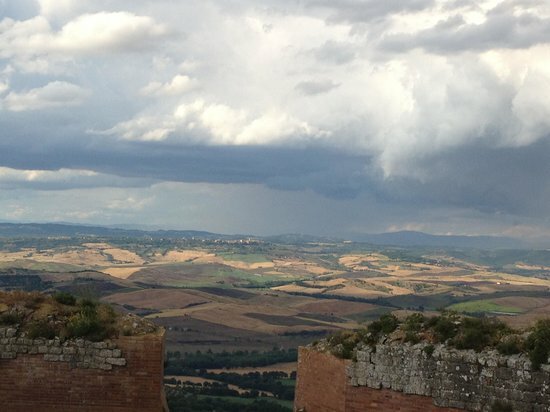 For nearly two centuries the fortress of Wavering was the small capital of the Val d’Orcia but especially strategic control center on the Via Francigena, the famous medieval road that connected Rome with Northern Italy and France. Anyone who goes to Rome (or were), Pilgrim, Ambassador, nobleman, cleric, armed or unarmed, passed through the Val d’Orcia, under the watchful eyes of the Lords of the fortress, high and impregnable. From the roof terrace, there is always a view over the Val d’Orcia truly amazing.